A few weeks back I made a video entitled “Yes! Model’s Do Eat” which got a lot of buzz and feedback. I’ve decided to go a bit further and really show you guys what I eat and how. Many days of the week, models are super busy whether it’s castings, go sees, or shoots. We have to find time to eat meals that gives us energy but still is good on the body so we can stay fit. The first video in this segment is making my perfect green smoothie. Greens and leafy vegetables are a perfect source of calcium, Vitamin K, and clean calories to keep you alert, awake and able to tackle any busy day head on. 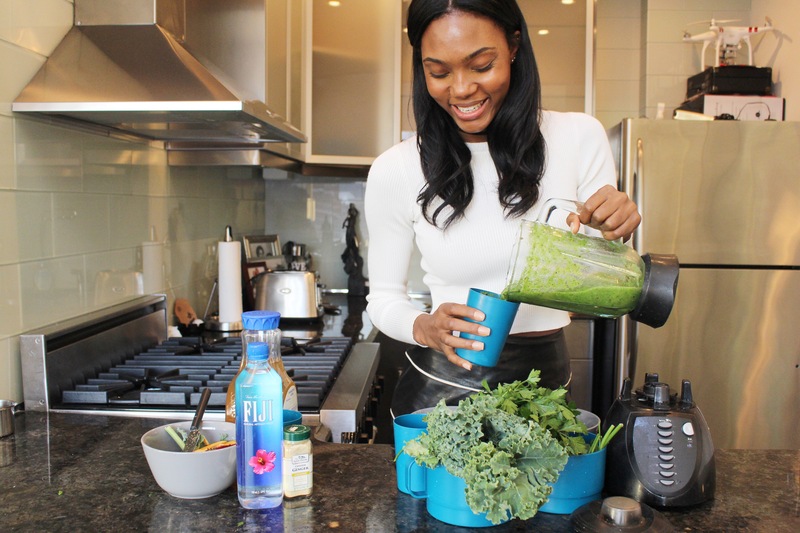 Watch my video below to see how I get the smoothie done! 1 bunch of kale – A good source of calcium and vitamin K, vitamin C, and iron. 1 bunch of baby spinach – An extreme source of all vitamins from Vitamin K and Vitamin A, to Manganese, folate, magnesium, iron, copper, and B vitamins. 1/2 tsp Chinese ginger – to give flavor and a nice kick. 2 red apples – For sweetness, high doses of antioxidants and fiber, and natural sugar. 1 cup of apple juice – Also for sweetness and natural sugar. Instead of apple juice, you can use water. If I used water instead of juice, I would have Fiji Water instead of tap water. 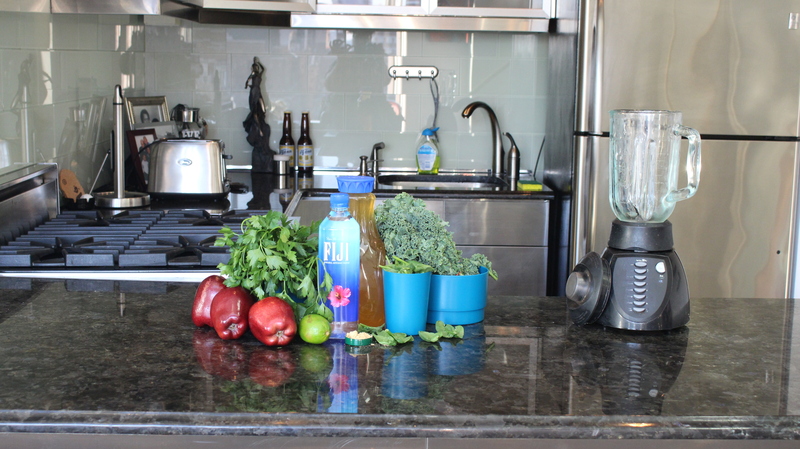 In the video, I used a heavy duty blender, but you can use a NutriBullet or any other kind of mixer you may have handy. Make sure your blender can accommodate the crushing of ice if you choose to use ice, like I have in my smoothie. All of these ingredients can be used in different rations depending on your taste buds. If you prefer a thicker smoothie, use more water or more juice. If you want something a bit more bitter and not too sweet, use more spinach and kale. Red apples can be interchanged with green or yellow apples but keep in mind this may change the taste slightly. Keep in mind that all vegetables are not the same. At times, depending on the season, fruits and vegetables came come from different farms and taste slightly different. Testing out different things. Do a few trials to perfect the recipe for your tastes and preferences. Drink this smoothie as much as you’d like! Because it is healthy, this smoothie can be consumed any time of day! The smoothie can be a meal replacement as well but try not to replace every meal. Again, you can use water if you don’t prefer juice. You can also use water AND juice in the mix. Apple juice is light enough to mix with well the green vegetables but strong enough to give a nice taste. Specials thanks to Fiji for the water bottles in the video. 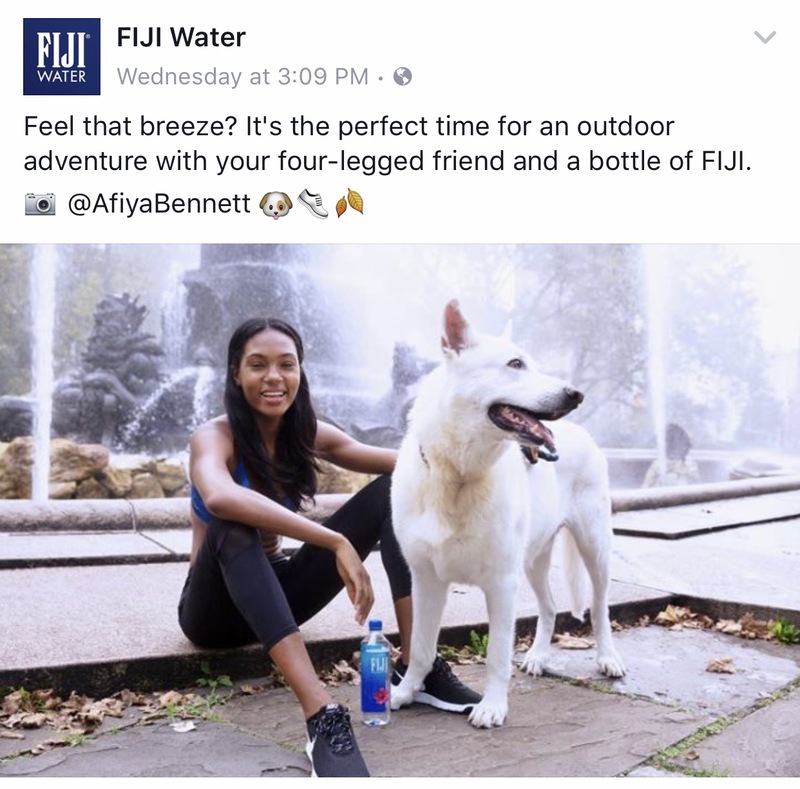 I love drinking their water as it is fresh, crisp and straight from delicate springs in Yagara, Fiji. The bottles are sleek and easy to fit in my bag on the go. It was a great honor to be featured via their social media channels and I hope you guys stay tuned for more upcoming work! Enjoy the smoothie and make sure you comment below with your experiences; I’d love to hear them! You can also find me on Twitter and Instagram. 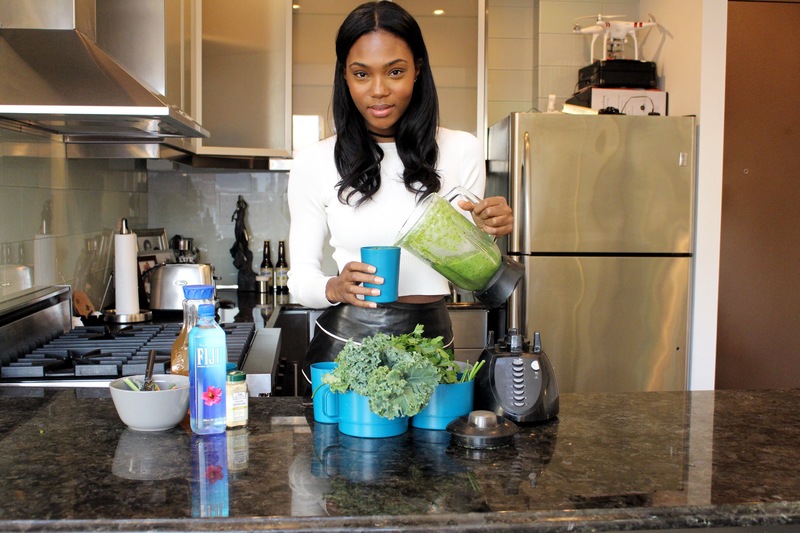 Send me tweets, photos and comments of you guys trying the above recipe and making your perfect green smoothie!